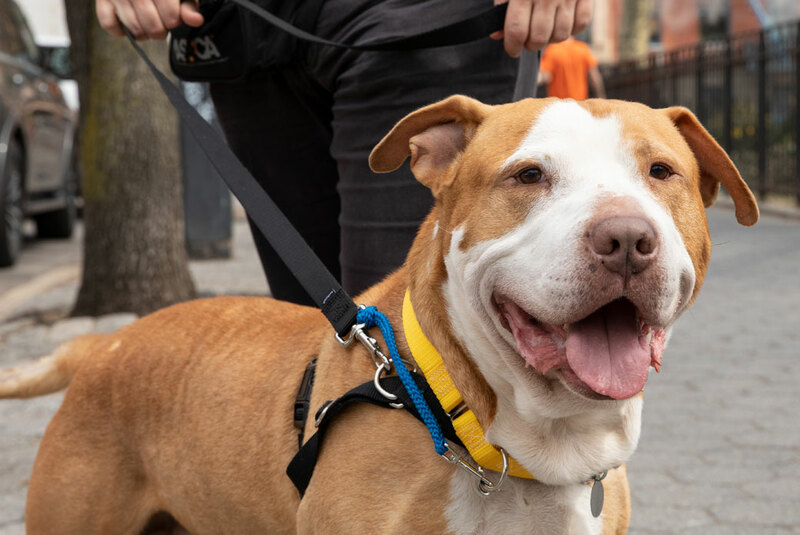 Don’t let the size and name fool you—Hercules really is a gentle giant! 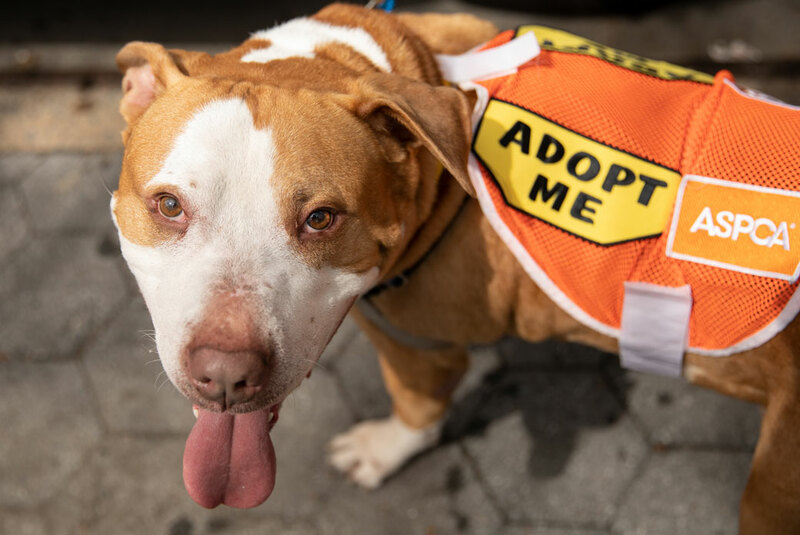 This sweet boy wants nothing more than a nice retirement home with a human who will take him for a couple good strolls and give him plenty of scratches. Could that be you? Big fan of: Walks! Hercules enjoys them so much, he’s already become a pro when it comes to being leashed up. As soon as he sees that harness, this good boy will stick his head right through and wait calmly as you clip him in! 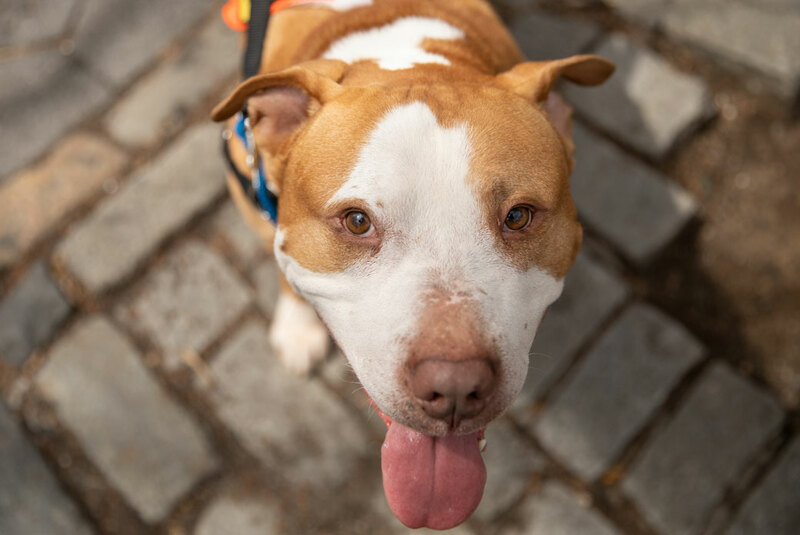 Hercules loves to feel the sun on his back and will happily trot alongside you to stretch those legs. And Hercules’ other favorite form of exercise? Play sessions! This guy will happily run around with and gnaw on a squeaky toy like a dog half his age! He’s great at sharing his toys with his humans, too. Once the games are said and done, you’re sure to find Hercules sprawled out for some rest and relaxation in one of his favorite comfy spots! Special features: Hercules sure does live up to his namesake when it comes to strength! He’s usually pretty casual on leash, but when Hercules sees something exciting sometimes he just can’t contain himself! He’s working hard on remembering not to pull. Hercules is inexperienced when it comes to other pups and sometimes forgets his manners when horsing around with them, so he should be slowly introduced to other dogs in a one-on-one setting first. 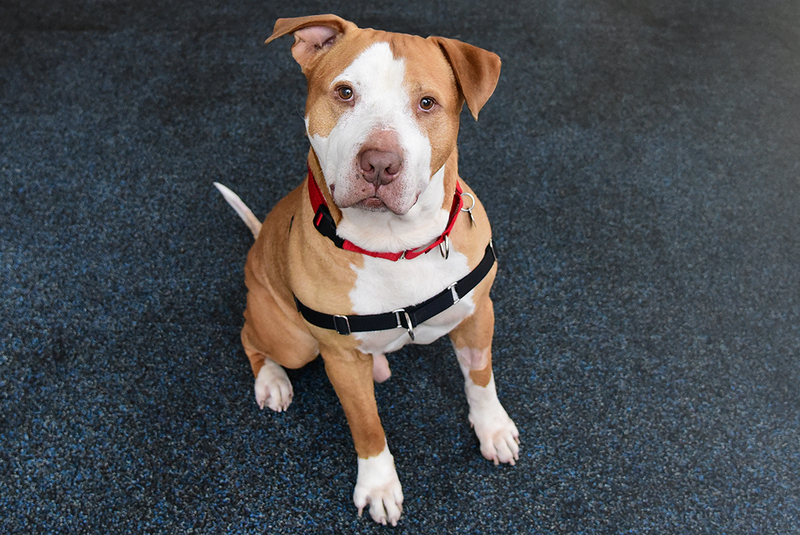 Dream home: Hercules needs an adopter who can help him remember to be polite while on leash. He can live with children of any age and should be the only dog in the home.